Welcome to Total Body Chiropractic. Our emphasis is on treating and caring for the whole body, not just your spine. We provide you as much time as you need to discuss all of your health care needs and concerns. We focus on providing excellent and friendly customer service to all of our clients including safe, gentle, and effective chiropractic care for patients of all ages. Our office uses a variety of chiropractic techniques specific to meet the needs of each patient. At Total Body Chiropractic we adjust the whole body, not just the spinal vertebrae. In addition to the spine, we adjust the pelvis, sacrum, scapulas, ribs, shoulders, elbows, wrists, hips, knees, and ankles. Chiropractic adjustments are extremely effective for migraine headaches, TMJ, fibromyalgia, allergies, joint pain, and many other ailments. Also, Total Body Chiropractic administers physiotherapy in the form of electric stimulation, ultrasound, and mechanical traction. Our office offers a wide variety of chiropractic products such as back braces, ice packs, pillows, back rests, posture pumps, TENS units, Biofreeze, and whole food nutritional supplements. We perform a comprehensive chiropractic examination on all new patients. This examination consists of postural analysis, range of motion testing, muscle testing, sensory testing, a neurology examination, orthopedic testing, and evaluating the alignment of all spinal vertebrae. If needed, the appropriate x-rays will be taken and analyzed. The exam results, along with the x-rays will provide us with the information needed to appropriately diagnose and treat your immediate health care needs and concerns so that we can help you once again reach and maintain optimal health and wellness. 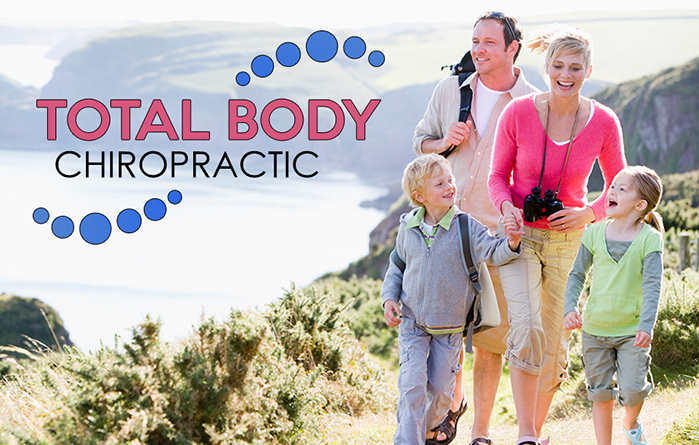 At Total Body Chiropractic, we believe in natural preventative health care. This includes, but is not limited to proper diet, exercise, organic whole food supplements, and regular chiropractic care in order to keep the body healthy and functioning at its optimum. Lastly, being under chiropractic care will allow you to feel more vigorous, vibrant, energetic, healthy, and strong. So don’t hesitate, contact us today at (615) 223-1175 to set up your appointment.